Acne is one of the most common chronic skin disorders in Western world. Since it is a particularly visible disorder, acne impacts both physical and emotional well-being, forcing an affected individual to seek medical care. 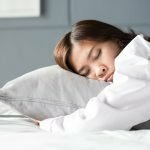 Unfortunately, it is one of the hardest conditions to treat, often proving to be resistant to multiple medications, and almost always relapsing. 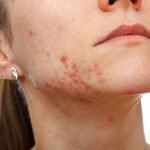 Treatments for acne range from topical antibiotics or steroid creams, to topical and systemic vitamin A derivatives, to surgical laser techniques. Despite multiple treatment options, acne remains virtually incurable, with the majority of treatments working only for a certain period of time. And even though many health experts now start to recognize such an entity as “inflammatory acne,” the field of dermatology, as a whole, is resistant to considering dietary factors as aggravating and/or promoting skin inflammation. 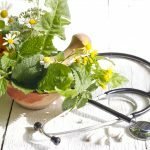 As naturopathic doctors, we view skin not simply as a separately functioning organ, but as an organ which reflects internal processes and health of the entire system. 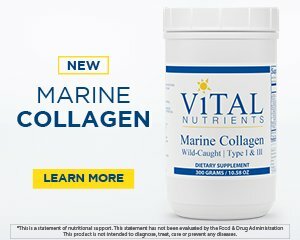 There is a strong connection between digestive health and skin. Therefore, the popular statement “You are what you eat” is particularly true for skin; your skin shows what you eat. Consequently, if there is an inflammation in the digestive tract, it is highly likely to manifest as inflammation of the skin. The following case studies relate to gluten-induced inflammatory skin disease, presenting as acne. Mina, a 27-year-old Caucasian female, was first seen in my office 18 months ago with the chief complaint of severe acne. Acne had been first diagnosed in her late teens. In her attempts to treat the acne, Mina had been taking antibiotics, topical preparations and, later, spironolactone. Of these, spironolactone provided the most relief, reducing her acne by approximately 65% from its original state; however, it also caused anxiety and blood sugar abnormalities. By the time she came to see me, she had discontinued all medications and was looking for a safer treatment. When she consulted me in late 2013, her skin was at its worst: she had multiple red and painful nodules, and deep scars from previous eruptions. She never had any tests to identify the cause of her condition. Although she was told by some of her previous healthcare providers that the cause of her acne might be “hormonal,” no hormonal workup was ever done. Her general health was “ok,” as she characterized it. She had chronic acid reflux, for which she took the proton pump inhibitor, esomeprazole. Her menstrual cycles were regular, every 27 days, and with no breakthrough bleeding; however, menstruation was usually prolonged (6-7 days). Mina also reported a history of anemia, for which she was prescribed iron supplements in the past. There was a family history of acne and “digestive problems” in her mother. Physical exam: Skin: nodular pustular lesions on face, neck, and back; some vesicles, with some oozing; multiple scarring. Lungs: inspiratory wheezes (she denied history of asthma). Abdomen: moderate periumbilical and epigastric tenderness. The rest of the exam was normal. Labs ordered: Complete Blood Count (CBC), gluten sensitivity panel, vitamin D (25-hydroxy), and serum progesterone. Test results: MCV: 75 (N=80-95); vitamin D: 24.5 ng/mL (N=30-100); gluten panel: Anti-gliadin IgG (native): 38 units (N=0-19). When the test results arrived, Mina was traveling, so I called her with the results and recommended starting a gluten-free diet; vitamin D3, 5000 IU before bed; and vitamin K, 70 µg every morning to help with iron absorption. Although I recommended that she come for a follow-up visit 8 weeks after starting on the diet, she did not return until almost 8 months later. However, when she arrived for the visit, her first question was, “Do you recognize me?” She reported that switching to a gluten-free diet had made a “huge difference.” She said that originally she was not seeing any results in her skin, but because the elimination of gluten caused her acid reflux to stop almost immediately, she decided to continue on the diet. After 3 months, she felt an abrupt change. Her lesions “calmed down and stopped oozing.” After that, improvement was constant. At the time of a follow-up she had only minimal residual scars from previous lesions, for which she started doing French green clay applications. As of now, she continues to do well. Maura, a 34-year-old female with acne, was seen in my office in late 2014. She reported that her acne started 4 months ago, and until then her skin was relatively clear. She had no prior history of eczema or dermatitis, and reported no known allergies. She was accustomed to eating an organic diet, exercising daily, and had a very good skin care regimen. She used topical tretinoin, which made her skin very dry and peel. Her gynecologist suggested that her acne might be “ hormone-related,” and prescribed an oral contraceptive pill. Maura was unwilling to start on the pill. Her menstrual history was unremarkable. She was otherwise healthy, except for frequent bloating. There was no history of acne in the family, though her sister has psoriasis. Physical Exam: BP:102/70 mm Hg; temp: 98.7 °F; tender cervical, axillary, and inguinal lymphadenopathy. Lungs: clear. Heart: systolic murmur and systolic flow murmur (patient has mitral regurgitation). Abdomen: tender hepatomegaly, moderately positive Murphy’s sign, splenomegaly, and epigastric tenderness. Skin: pustular, erythematous, scaling lesions on cheeks and neck. There were also erythematous rashes in the armpits and behind the knees; these had an eczematous appearance. Of note was a serpiginous vesicular rash on the right leg. Hair and nails were normal. Labs ordered: Gluten sensitivity panel; liver enzymes; vitamin D, CBC. She also wanted to have her female hormones measured, so we ordered an LH/FSH ratio (luteinizing hormone/follicle-stimulating hormone), and serum progesterone. She asked about any possible dietary changes that she could make without having to wait for the test results. I advised that it might be worth cutting out gluten right after the blood draw. A follow-up visit took place 10 days later. Test results: Vitamin D: 23 ng/mL (N=30-100); anti-gliadin IgG: 19 units (N=0-19); LH/FSH ratio (roughly 1:1): normal; progesterone: 7.8 ng/mL (normal for luteal phase). Maura reported at follow-up that as soon as she stopped eating gluten, her symptoms started improving. At the time of this visit in January 2015, she was experiencing less redness and less oozing of the lesions. She also reported that she was not developing any new lesions. She was very eager to continue on the diet and vitamin D. She will have another follow-up in 3 months for retesting. Anthony, a 29-year-old African-American male, was seen for acne and chronic allergies. Acne on his face, chest, upper arms, and back had been a longstanding problem for him. 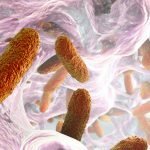 He had been on numerous antibiotic regimens, which had been only marginally successful. He reported multiple environmental allergies and chronic sinusitis. 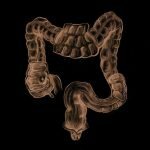 Anthony’s other longstanding issues were digestive upsets and IBS-like symptoms. Physical Exam: Skin: dry, small pustules on face, chest, and covering entire back. Lesions were forming large, scaling, well-demarcated sheets. Some pustules were noted. Skin on his legs was very dry, with multiple excoriations; he reported severe itching there. Multiple bruises on legs were noted; he reported easy bleeding and bruising. Pharynx: erythematous; maxillary sinuses were occluded and tender to palpation; paranasal sinuses were enlarged and swollen. Abdomen was distended, and there was generalized tenderness to palpation. No ascites was noted. 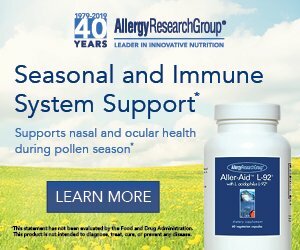 Two-week follow-up: Test results showed allergy to chicken, eggs; anti-tissue transglutaminase (tTG) was positive, suggestive of celiac disease. I discussed these results with the patient and suggested that he follow up with a gastroenterologist for upper endoscopy/biopsy to confirm the diagnosis of celiac disease. However, he declined the procedure, and decided to start on the diet without confirmatory tests. He also started taking vitamin D3, 5000 IU before bed. Four-month follow-up: Lesions on Anthony’s chest, back and arms had cleared completely. Some pustules still remained on the face, but they were smaller and less numerous. He reported that his digestion was much better and his bowel movements normalized. 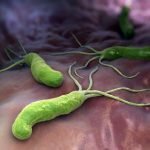 He reported that he felt “normal” in his stomach for the first time in a long time. We retested his vitamin D levels, which were measured at 58 ng/mL, so he was advised to discontinue the supplementation. He will continue on the gluten-free diet and will have a follow-up visit in 9 months. Neena, a 17-year-old South Asian female, was diagnosed with acne 2 years ago. The acne worsened over time and, by the time of our visit in August 2014, was severe, with multiple nodules and pustules. Acne was only on Neena’s face; no other skin areas were affected. She had used doxycycline and topical tretinoin in the past, but both of these medications worsened her condition. In addition, after 9 months of doxycycline, she had frequent stomach pain. Her general health was good, except for chronic “brain fog.” She had no known allergies. Earlier that year, Neena’s younger sister was diagnosed in our office with severe gluten sensitivity and eczema, which improved with gluten elimination. This prompted me to test this patient for gluten sensitivity as well. Test results: Anti-gliadin IgG: 56 units (N=0-19); vitamin D: normal. I recommended that Neena start on a gluten-free diet and return for a follow-up visit in 8 weeks; however, she did not return until 4 months later. Follow-up in 4 months: Neena reported symptoms of cough and fatigue. Her skin looked very inflamed and had multiple pustules. 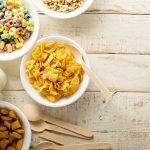 She said that she had not eliminated gluten completely; in fact, she was eating it at least 3 times per week. Physical Exam: Temp: 101.3 °F; tender cervical lymphadenopathy; pharynx clear. Bronchial sounds were present in all lung fields on auscultation. Heart: normal to auscultation; Abdomen: peri-umbilical tenderness, also tender splenomegaly. Skin: Pustular erythematous scaling lesions on face and neck. I diagnosed this patient with bronchitis and prescribed azithromycin. I also strongly recommended that she eliminate gluten completely from her diet so that her skin could improve. I also thought that azithromycin, which has mild anti-inflammatory effects, would help suppress skin eruptions. In 4 weeks, Neena called my office to tell me that her skin finally started clearing, almost as soon as she eliminated gluten. Two months later, she reports that her skin is stable, no new lesions are appearing, and old lesions have almost resolved. Some scarring still remains but that can be worked on topically. 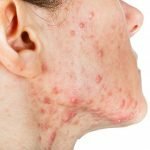 Acne, like many chronic skin conditions, has been long misunderstood and misclassified, viewed mostly as a localized disorder of sebaceous glands, and one that involves disturbance of skin microflora. The underlying immune reaction and inflammatory processes that cause skin eruptions are typically overlooked. However, skin eruptions might very well be a symptom of deeper pathology. It is our task, as physicians, to find out what that pathology is. The above-discussed cases represent only 1 kind of dermatitis that was misdiagnosed and improperly treated in the past – gluten-induced dermatitis. 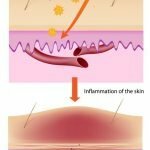 Other food sensitivities and food allergies are known to cause skin eruption as well; therefore, investigating this possibility further might lead to a complete cure. 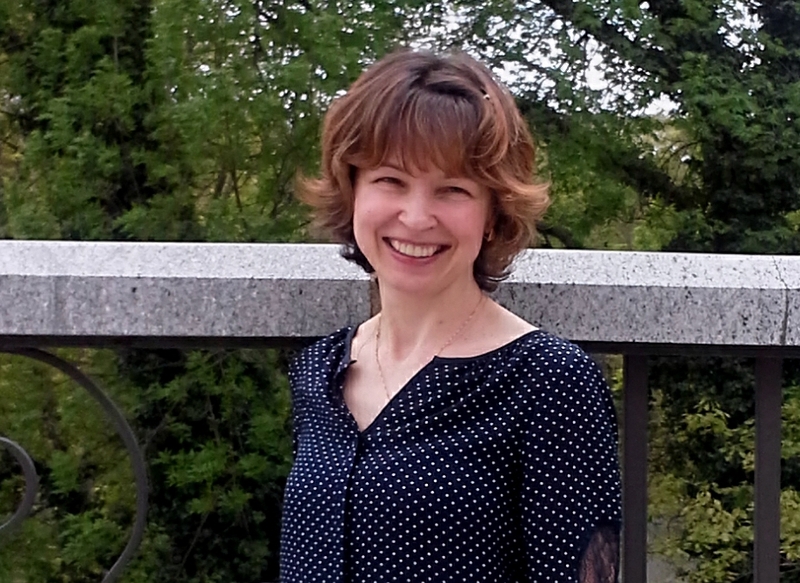 Nadia Ciuha, ND, is licensed naturopathic physician in Washington DC. She is a 2006 graduate of Bastyr University, School of Naturopathic Medicine. She has been a practicing physician since early 2007, serving as a primary healthcare provider, as well as a naturopathic specialist. 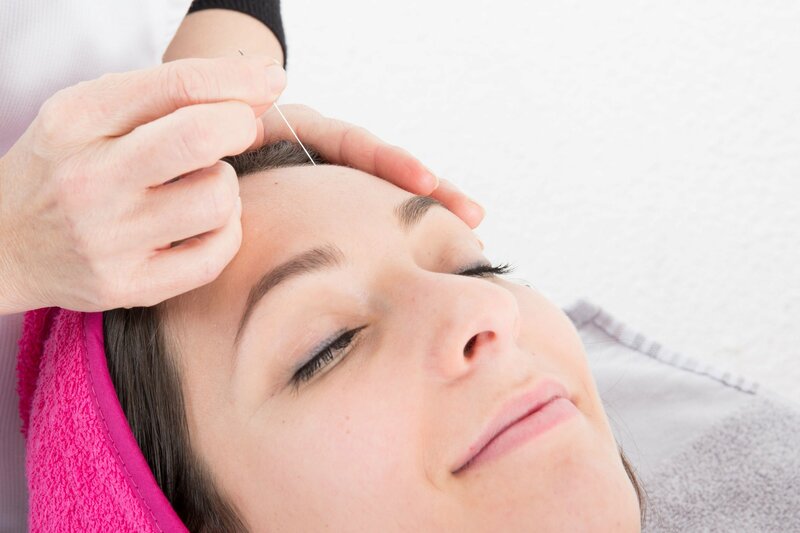 Her focus areas include dermatology and digestive health.